To find a contractor you are comfortable with you should be prepared to ask a lot of questions about their experience, insurance and licenses. A legitimate siding contractor will be licensed and registered in their state, and they should be able to provide you with a copy of this and their insurance. Ask if they have received any formal training or if they belong to any professional associations, and do not forget about getting references. References are great for finding out about the reliability of a contractor and the more references the better. Once you have chosen your siding contractor go over the materials, time, and cost of the job to ensure that there will be no unexpected changes once work begins. When it comes to cost, there are mass amounts of different styles and models of vinyl that are very affordable. 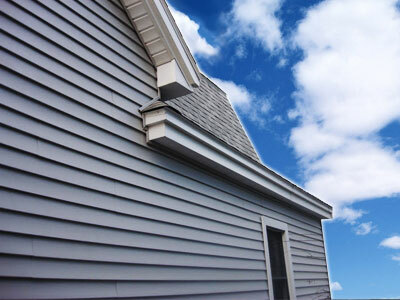 Vinyl siding can be as cheap as $4 per square foot, while cedar shingles can cost as much as $8 per square foot. Next to vinyl, metal siding is the cheapest option in siding and takes less time to install than wood. However going with the cheapest option isn't always the best choice. Stucco can save you the most money in the long run although the initial cost to install it is higher than other siding products. Choosing what siding product you want is only the first step. The next is hiring an experienced siding contractor to install it for you. Many contractors can advise you on the different materials available, even if they specialize only on a specific one such as increasingly popular vinyl.